Accord to Al-Quds, Abbas threatened to blow up talks over offer Israel kept 10 settlement blocs, demand for recognition of Jewish state. Palestinian Authority President Mahmoud Abbas described US Secretary of State John Kerry's framework agreement draft as "madness," Palestinian newspaper Al-Quds reported Wednesday. According to the paper, meetings held between the two last week in Paris were very difficult and Abbas was on the verge of blowing up the peace negotiations. According to Al-Quds, Kerry demanded Abbas to official recognize Israel as a Jewish state, and offered that Beit Hanina neighborhood will be declared as the Palestinian capital instead of the entire east Jerusalem area. This was not the first time the Americans have offered only a part of east Jerusalem for the Palestinian capital. 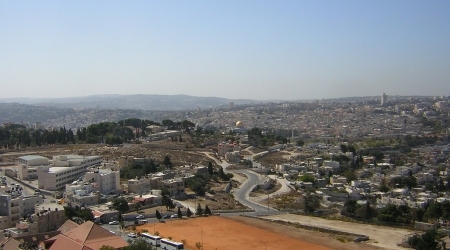 In a previous round of talks, the Americans offered Abu Dis as an alternative - an offered that was rejected immediately. Additionally, the secretary of state demanded that as part of land swaps, Israel will keep ten settlement blocs. In addition, Kerry has raised the possibility that the Jordan Valley will not be a part of the Palestinian state. This is in contradiction to comments Abbas made several weeks ago to the New York Times, where he expressed willingness to allow both international and Israeli presence in the area for an interim period of several years. The paper reported that Abbas was furious at Kerry's proposal and threatened to turn back on his recent flexible offers. The Americans tried to assuage Abbas' fury, which had the potential to blow up the negotiations, by inviting him to meet US President Barack Obama at the White House. A date for the meeting has yet to be set, though it will definitely take place after Obama's meeting with Prime Minister Benjamin Netanyahu, during the prime minister's visit to Washington for the annual AIPAC conference next month. On Wednesday, Kerry explicitly admitted that he hopes at best to get Israel and the Palestinians to agree on a "framework" for a peace agreement by April 29, but that a final deal could take another nine months or more. "For months now, we've been saying we're trying to get a framework. 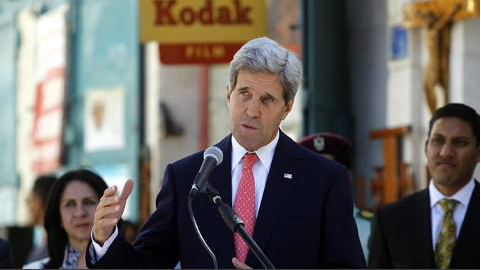 We have understood what we can get within this time period," Kerry told reporters. "We are trying to get the framework ... 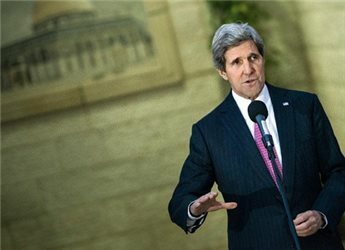 If we have used these seven months thus far to get an understanding of where the parties are and to be able to shape the final negotiation, then we get into the final negotiation," Kerry added. "So I don't think anybody would worry if there's another nine months, or whatever it's going to be, to finish up but that's not defined yet," he said. Abbas had presented his core principles earlier this month during an interview with the New York Times. He confirmed that a Palestinian state might have to cede its defensive capability to NATO, and that he could accept IDF presence in the West Bank for a five-year period after the signing of an agreement. The Palestinian leader even agreed to a gradual evacuation of Israeli settlements in the West Bank. However, Abbas insisted that he would not recognize Israel as a Jewish state. Mahmoud Jabari is a social entrepreneur and public speaker on youth engagement, originally from Hebron. He is currently a communications major and Global Studies student at Champlain College in Vermont. Follow him on twitter. Palestinian Authority president Mahmoud Abbas met with a group of 300 Israeli students and peace activists at his headquarters in Ramallah last week, in a move that caught many observers by surprise. It pleases me, however, when I see a group of Israelis visit the West Bank. They get to see the realities of Palestinian life, the markets, and the human face of the Palestinian people. President Abbas' meeting with the Israeli students was important because the young generation of Israelis needs to know that there are serious efforts on the Palestinian side to reach a final peace agreement. They need to know that Palestinians are tired of the conflict and that we are eager to take up opportunities that the current era of entrepreneurship and technology has to offer, and to live in our own state in dignity and freedom. 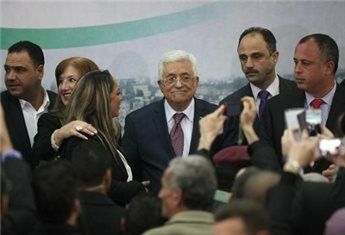 Abbas, as usual, appeared confident and honest. Indeed, he insisted on that when he told his guests: "I speak the same language with everyone." His determination throughout the negotiations process has allowed him to counter Israeli government propaganda and accusations from the Israeli side that he is not a real partner for peace. Throughout his career, he has not given the Israeli right wing any tangible excuse to present him as an extremist -- which of course they would do even if Palestinians were led by Gandhi himself. Many outsiders, however, might not be fully aware of the major criticism he faces on the Palestinian side for his positions. Following the meeting with his Israeli guests, for example, he was criticized by many Palestinians -- especially Palestinian refugees -- for saying that he seeks a "just and agreed" solution to the refugee issue with Israel according to the Arab Peace Initiative, which he described as the most "historical and important" document in Arab history since 1948. According to the initiative, any decision regarding the refugee issue has to be agreed on by both the Palestinian and Israeli sides. Although this sounds politically ideal, for many Palestinian refugees this means giving up their right to return to the homes they were forced to leave in 1948, a right that they have insisted on for the past 65 years. Many Palestinian refugees have expressed frustration and disagreement about Abbas' perspective. But Abbas has on many occasions stressed that any agreement will be accompanied by a public referendum. Abbas is certainly honest with both the Israeli and Palestinian publics, and he has been brave in putting forth and clearly stating his positions. But the question that many Palestinians are asking now is -- what will be the end gain? There are two problems facing the Palestinians that the meeting between president Abbas and the Israeli students brings to the fore. 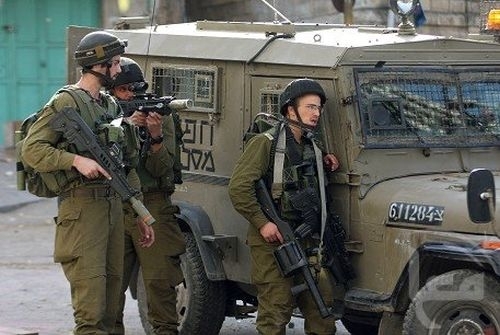 The first problem lies in the criticism-oriented reaction of the Palestinian public. This should not be surprising given the difficult political and physical realities that the Israeli occupation has imposed on our lives. But if we want to criticize President Abbas' approach and position, we need to remind ourselves of the difficult position he is in. 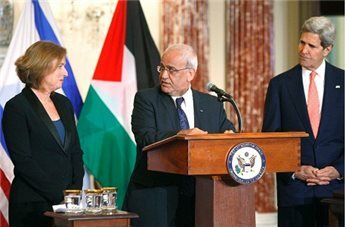 Of course we should be free to criticize our president, but if want to raise the ceiling of our political position -- especially if the negotiations fail -- we need to ask ourselves if we as Palestinians can sit together for a frank and constructive dialogue in order to formulate and agree on a national strategy that will unite us to continue the struggle against occupation. We need to ask ourselves if we will be ready for the tough consequences of any hardline position that some expect President Abbas to take -- namely, a decline in US aid as punishment. Amongst Abbas' responsibilities is ensuring the provision of civil servants' salaries, for example. The funds for these salaries come from the United States and the European Union, and their provision is directly tied to our political stance. This funding is an essential component of the Palestinian economy. Given the high levels of public borrowing from banks and the division between Hamas and Fatah, I doubt to what to extent at the present we could realistically find an alternative to this funding. The second problem is on the side of the Israeli government. Israeli leaders continue to view any deal with the Palestinians through a pessimistic lens, repeatedly criticizing and accusing president Abbas of lacking the support of the Palestinian public, especially in light of the Fatah-Hamas political division. Israeli leaders continually ignore the courage and diplomatic determination of president Abbas throughout the negotiations process. But the failure to reach a peace agreement will be a message by the Israeli government to anyone who might replace Abbas not to take a moderate stand on any issue related to the conflict. Indeed, Israel and the rest of the world should not be surprised if extremism increases should negotiations fail, and if public support for moderates more generally declines. Abbas assured his Israeli guests that violence will not be a choice on the table if negotiations fail. That position was based on his own assessment, but it was also an exaggeration. Violence -- even if we disagree with it -- should be expected given the fact that the occupation will continue and economic pressure on Palestinians will continue mounting if talks fail. Uprisings have never asked for permission from politicians; they usually catch them by surprise. US Secretary of State John Kerry himself even warned in a TV interview of the possibility of a third Palestinian uprising if a deal is not reached. President Abbas' meeting with Israeli youths, and his emphasis on the importance of creating a safe and prosperous future for the younger generations more broadly, demands a similar dialogue with Palestinian youth as well. This dialogue would allow him to explain his positions, listen to their reservations and concerns, and reach out for their suggestions. The creation of such a mechanism would strengthen president Abbas' position in addressing any audience on behalf of Palestinian youths, and it will allow him to ensure the support of a wider spectrum of the most energetic and dynamic group of Palestinian society. If the negotiations succeed, youths will enrich the vision of post-occupation Palestine. But if the negotiations fail, youths will empower a national strategy to face what will certainly be tougher economic and political realities. In order for this to happen, direct dialogue between the president and the youths of the country is necessary. A senior Palestinian official on Thursday rejected US moves to extend an April deadline for nine months of talks with Israel to culminate in a framework peace deal. "There is no meaning to prolonging the negotiation, even for one more additional hour, if Israel, represented by its current government, continues to disregard international law," PLO chief negotiator Saeb Erekat told AFP. "If there was a committed partner, we wouldn't even have needed nine hours to reach that deal," he said. He was responding to comments by US Secretary of State John Kerry who told reporters in Washington on Wednesday that more time would be needed and that he hoped first to agree a framework to guide further talks. It was Kerry who coaxed the two sides back to the negotiating table in late July, after a three-year hiatus. "Then we get into the final negotiations. I don't think anybody would worry if there's another nine months, or whatever it's going to be... But that's not defined yet," he said. Israeli Defense Minister Moshe Yaalon said last month that he expected the time-frame to be lengthened. "We are now trying to reach a framework to continue negotiations for a period beyond the nine months some thought would suffice for reaching a permanent accord," he said. Hamas movement expressed concern about the continued negotiations conducted by the Palestinian negotiator and the Israeli occupation, under the auspices of the United States represented by its Secretary of State John Kerry. The movement said that the negotiation process, over more than twenty years, has given nothing to the Palestinian people. It has encouraged the occupation to grab more land for settlement construction, to Judaize the holy places, and to commit more crimes against the Palestinians, Hamas added. It also reiterated its rejection of Kerry's Framework Agreement, which would lead to the recognition of the "Jewishness of the Israeli State", the liquidation of the Palestinian cause and the loss of the Palestinian rights and constants, and stressed that the entire land of Palestine belongs to the Palestinian people. Hamas emphasized that the right of return of all refugees to their homes, which have been occupied since 1948, is an inalienable right that cannot be cancelled by any agreement, and stressed its adherence to resistance, especially the armed one, as the only way to confront the occupation. The movement said in a statement on Thursday: "The Palestinian people cannot trust the US administration which is clearly biased in favor of occupation and its plans and positions." 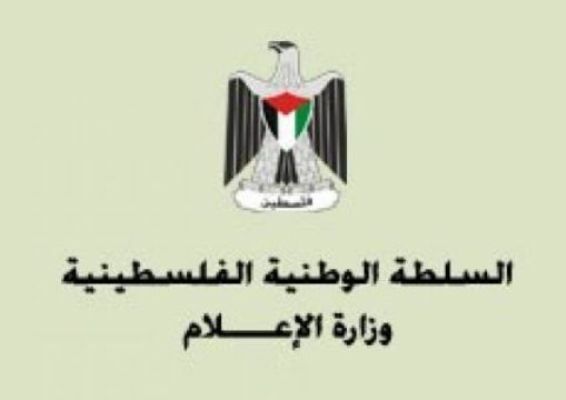 Meanwhile, Hamas called on the authority of Ramallah and Fatah movement to review their choices, stop the negotiations, confront the occupation according to a unified national program, and to go to the international courts to prosecute the occupation for its ongoing crimes against the Palestinian people. Regarding the reconciliation, the movement stressed that ending the division and developing a unified national strategy represent the only ways to defeat the occupation, liberate the land and holy places, and to achieve the right of return. The movement's statement called on the Palestinian people and factions, at home and abroad, to speak out their rejection of the "framework plan", and to establish a national front that refuses the negotiations with the occupation. The statement also urged the Arab and Islamic countries to stop their support for the futile negotiation process and to start supporting the Palestinian people's struggle and steadfastness in confronting the Israeli occupier. 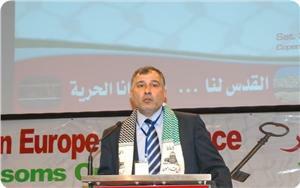 Chairman the Palestinian Return Centre (PRC) in London Majed al-Zeer strongly condemned the Palestinian Authority's statements that it could recognize the Jewishness of "the Israeli state", stressing that the Palestinians will never accept that. Al-Zeer told Quds Press that the "Jewishness of Israel" plan represents "a project for a new Nakba, as it supports the establishment of an Israeli state on our Palestinian land and ends the conflict with the occupation, while the Palestinians had not authorized anyone in this regard." He emphasized the PRC's rejection of the project of the Jewish state, and said: "The Return Centre was mainly formed to defend the right of return, and therefore we reject such project that cancels this right." "We will take all the peaceful and legal procedures, in cooperation with the Palestinian people, to lift the lid on any person or entity that is dealing with such projects." 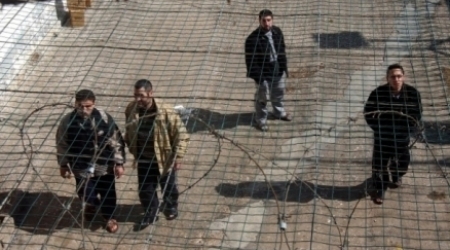 Releasing the fourth patch of Palestinian prisoners, which includes Palestinians from pre-1948 Palestine – occupied territories, considered a turning point in the future of negotiations between Israel and the Palestinian Authority, Maarive newspaper reported Thursday morning. The newspaper quoted from reliable source that the prisoners are scheduled to be released at the end of next March if the Palestinian Authority accepts to sign the framework agreement (Kerry’s plan). Israeli PM Benyamin Netanyahu did not promise to release those prisoners, neither the American side agreed on such a vow , the sources said. Netanyahu vowed to bring up the issue to the cabinet for voting, the newspaper said, adding that there are doubts about the Netanyahu’s ability to enlist the majority required to pass such resolution in the Israeli government because most of the Likud ministers declared they will oppose it. 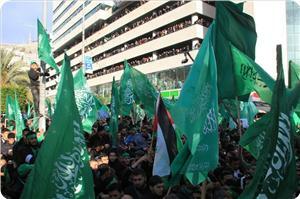 It is believed that The Palestinian Authority insisted on the release of pr-1948 Palestinian prisoners . Palestinian President Mahmoud Abbas will cancel the talks in case Israel refused their release which is subjected to the consent of the two parties. US Secretary of State John Kerry acknowledged Wednesday that his quest to seal a full Middle East peace deal will slip beyond an April deadline. He was first hoping to agree a framework to guide the talks between Israel and the Palestinians, Kerry told a small group of reporters in Washington, including AFP. "We're using the current deadline to help shape this," he said, adding he was prepared to continue the talks "for whatever period of time might be appropriate." The top US diplomat coaxed the two sides back to the negotiating table in late July, after a three-year hiatus, and at the time said the aim was to reach a full peace treaty within nine months. But asked Wednesday if that was still possible, Kerry replied: "Well, no, we've been very upfront about that. For months we've been saying we're trying to get a framework." "We've understood what we can get within this time period. We've never fudged that," he insisted. "We're trying to get the framework, which is a huge deal if we've used these seven months thus far to get an understanding of where the parties are and to be able to shape the final negotiations." Kerry has been shuttling between the two sides, and last week met President Mahmoud Abbas in Paris for talks as he seeks to hammer out the framework. But Kerry insisted that both parties were still "in the middle" of the talks. "I laugh at people who say it's not going anywhere. They don't know because we're not talking about where it's at. They have no clue where our negotiations are and whether they could go anywhere." A Palestinian official told AFP however last week that Kerry's ideas could not be the basis of any framework. "The ideas proposed cannot be accepted by the Palestinian side as the basis for a framework accord between the Palestinians and Israel as they do not take into account the legitimate rights of the Palestinian people," he told AFP, asking not to be named. US ambassador to Israel Dan Shapiro said on Friday that he expected Palestinian recognition of Israel's Jewish character to be part of the framework, which Palestinians fear could compromise the right of return for refugees. Kerry is also likely in the coming days to meet Israeli Prime Minister Benjamin Netanyahu on the sidelines of an annual conference in Washington organized by a powerful American-Israeli lobbying group. "Clearly the final status agreement is a huge document, pages of legalese that have to be worked out, about security and movements and passages... water, energy, there's a lot there," he added. Jordanian MPs have called for a 1994 peace treaty with Israel to be scrapped after the state's parliament debated Israeli sovereignty over Jerusalem's Al-Aqsa Mosque compound, a daily reported Wednesday. The government-owned al-Rai newspaper said 47 out of 150 members of the lower house signed a motion late Tuesday that the treaty be annulled. 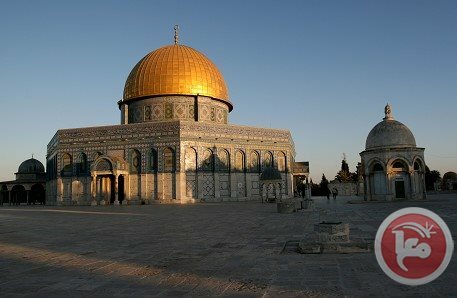 "The motion came in response to Israel's actions in Jerusalem and to the Knesset debate of a law that seeks to impose Israel's sovereignty over Al-Aqsa," al-Rai quoted MPs as saying in the motion. "Israel's actions clearly violate the peace treaty ... it is aggression against Jordanian custodianship," the motion said. 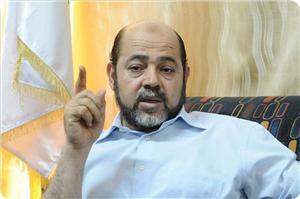 Al-Rai said the lower house will discuss "the repercussions of the debate later Wednesday." On Tuesday evening, the Knesset held the first part of a debate called by right-wingers demanding that Israel end its practice of forbidding Jewish prayer at the compound. But Jordan's opposition Islamic Action Front, the political arm of the Muslim Brotherhood, urged the government on Tuesday to freeze the peace deal. "The custodianship is a Jordanian national interest and a sacred religious duty," said the IAF, the main opposition party. Israeli police on Tuesday entered the compound to disperse stone-throwing Palestinian protesters, with an Israeli police spokesman speaking of "high tension." Sitting above the Western Wall plaza, it houses the Dome of the Rock and Al-Aqsa mosques and is Islam's third-holiest site. Political bureau member of Hamas Mousa Abu Marzouk considered that the principle of "the Jewishness of the state" is consistent with the vision of U.S. Secretary of State, John Kerry, for the political settlement process. Abu Marzouk said in a press statement on Monday that the framework agreement is based on the UN Resolution of 1947 that provides for the division of Palestine between Jews and Arabs, which has been rejected by the Arab world and the Palestinians. The Hamas official called on all the Palestinians to work on thwarting the Framework Agreement that "aims to liquidate the Palestinian cause." Head of the Palestinian Authority in Ramallah Mahmoud Abbas had said that it was possible that his authority will recognize "the Jewishness of the state" if this was recognized by the United Nations. Abbas's position was met by rejection of all Palestinian factions; some of them considered such a position as a betrayal of the Palestinian cause. Kayed al-Ghoul, member of the politburo of the "Popular Front for the Liberation of Palestine", emphasized that the recognition of the Jewishness of the occupation state means the liquidation of the Palestinian cause and the cancellation of the right of return. He stressed that such recognition gives credibility to the Israeli narrative and justification for all the crimes committed by the occupation over the past years. He also warned that Israel will exploit any recognition of the Jewishness of the state to displace the Palestinians and expel them from the 1948 occupied territories. For his part, member of the media office of Hizb ut-Tahrir in Palestine Maher Al-Jabari accused Mahmoud Abbas of betraying the Palestinian cause and people.